This entry was posted in Modern Quilts, Quilting, Sewing projects and tagged christmas, Christmas quilt, place mat pattern, place mats, placemat by zippyquilts. Bookmark the permalink. I’m in the midst of Christmas place mats and wall hangings. I like your place mats for the season. I also just returned from the Houston International Quilt Festival…a mind-blowing experience. It is amazing. I would like to take classes next year. We’re having friends for dinner this evening, so I’ve been doing a bit of housecleaning (freshen dining room, open the table and dress it, etc. ), checked the status of bills, …. normal home stuff. 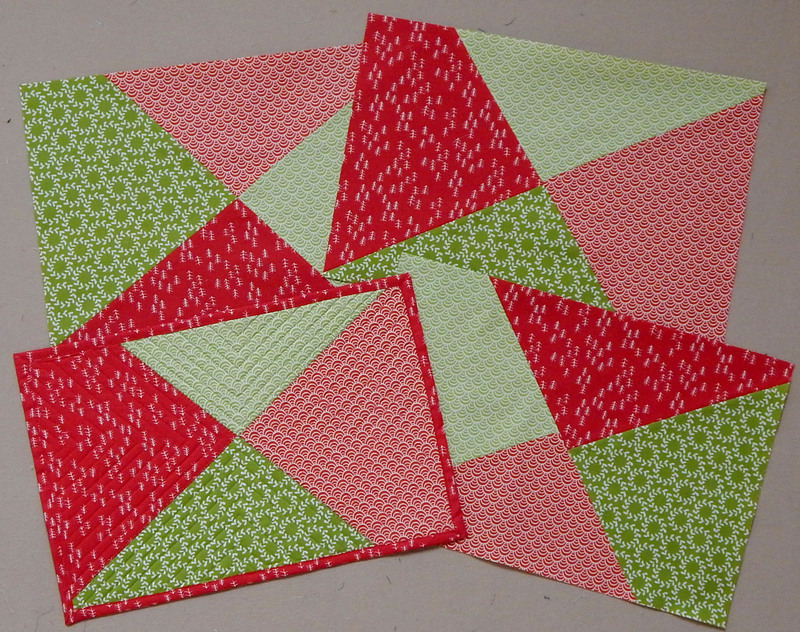 I haven’t managed to work on any quilting/sewing since getting back 2 weeks ago. I think that will happen this week. No plans to make or quilt and Christmas presents this year. Your projects look like a pleasure. Love the stars quilt, and it’s always fun to make that first big-bed quilt for a little one! Good luck with your projects next week! Let’s hope they don’t start suddenly reading your blog now – ha! In a fantasy world I am going to start Christmas projects in July 😉 Congrats on your progress and love the quilt! I. Id do the little one’s quilt in July but I STILL haven’t bound it! Lucky grandson. His quilt looks so cosy. 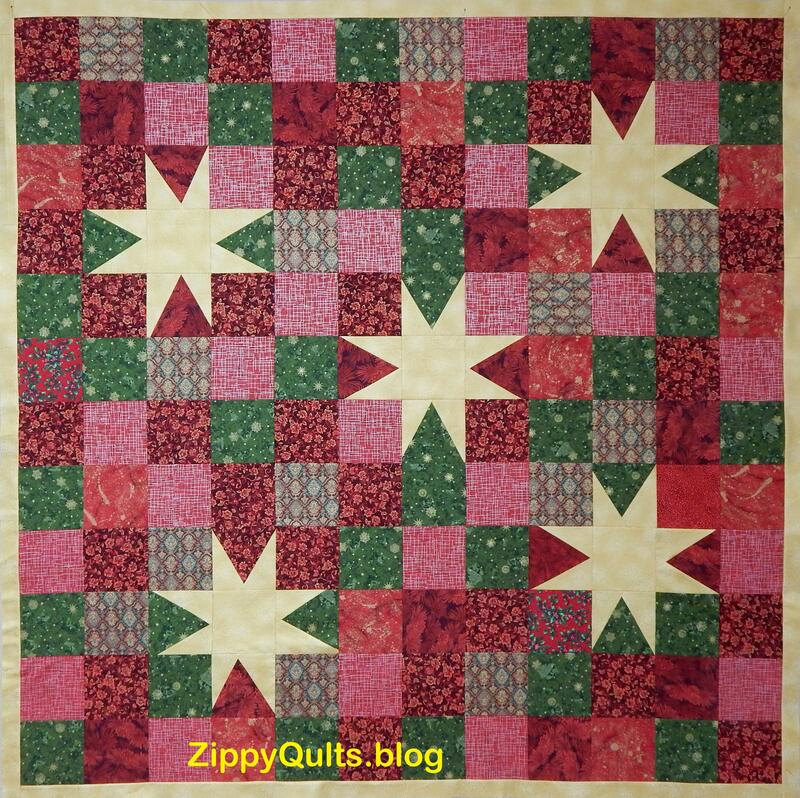 Your star quilt is stunning — such a clever modification of the original pattern. Love the way the pale stars stand out from the background of squares. Looking forward to seeing the finished version. 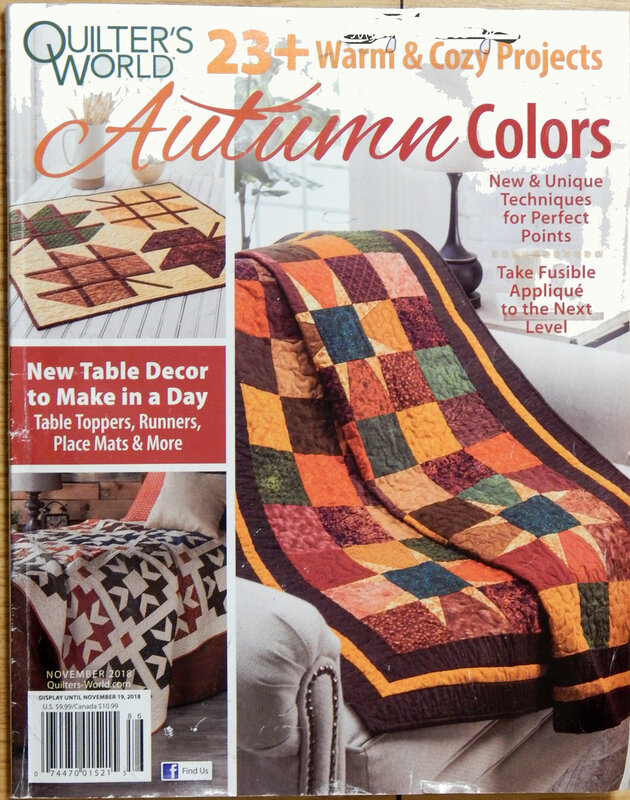 I really like your modification of the autumn star quilt! Love the accent that the sharp contrast between squares and stars makes.